New Delhi, Dec 6: With India experimenting with various players in the slip cordon during the home season, Test specialist Cheteshwar Pujara on Wednesday said the team will finally zero in on a settled unit during their overseas tours, starting with the visit to South Africa later this month. 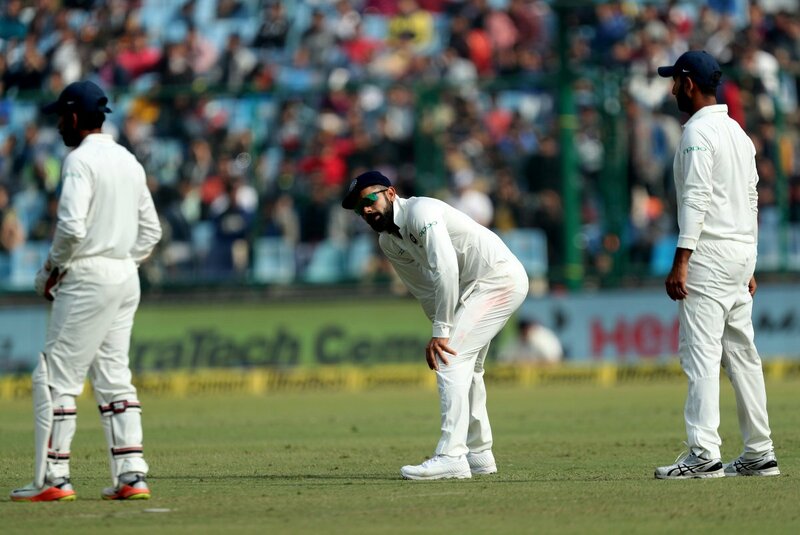 Despite winning the three-match series against Sri Lanka 1-0, India dropped quite a few catches, thanks to the rotation of various players in the crucial slip positions. "We are having a chat about it (slip catchers), we will assign few players, will have players standing at the slips," the Saurashtra batsman told reporters at the post-match press conference here. "We will even discuss about it when we reach South Africa, we have started talking about it. We might have to pin down only a few players as specialist catchers," Pujara added. The 29-year-old, who has scored 4396 runs in Test cricket at an average of 48.13, was satisfied with his performance over the past year. However, he was quick to assert that there is always room for improvement and he will look to work on it in the upcoming series. "Talking about 2017, it has been a fantastic year, I still could have done better at times I feel that, there is always a scope for improvement," Pujara said. "There are still some areas in which i want to improve."